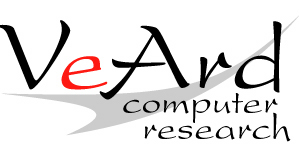 From 1988 – 2013, VeArd Computer Research, Inc. (aka ‘VCR’) was the family software development business run by Tim, Lynda and Cherie. Over the years, we served the needs of major clients including the US Army Medical Command, Lifespire, The Maine Health Alliance, Local-100 and many more. After the passing of Tim in 2013, the family made sure all of the clients were properly moved to new providers and shut down the company to further business. Cherie has run Two Steps Beyond LLC with her partner, Chris Dunphy since 2007, and now does all of her consulting under that banner. The USSVI and Decklog pro-bono sites created by Tim to serve the needs of submarine vets still continue on with thanks to his son Ken.